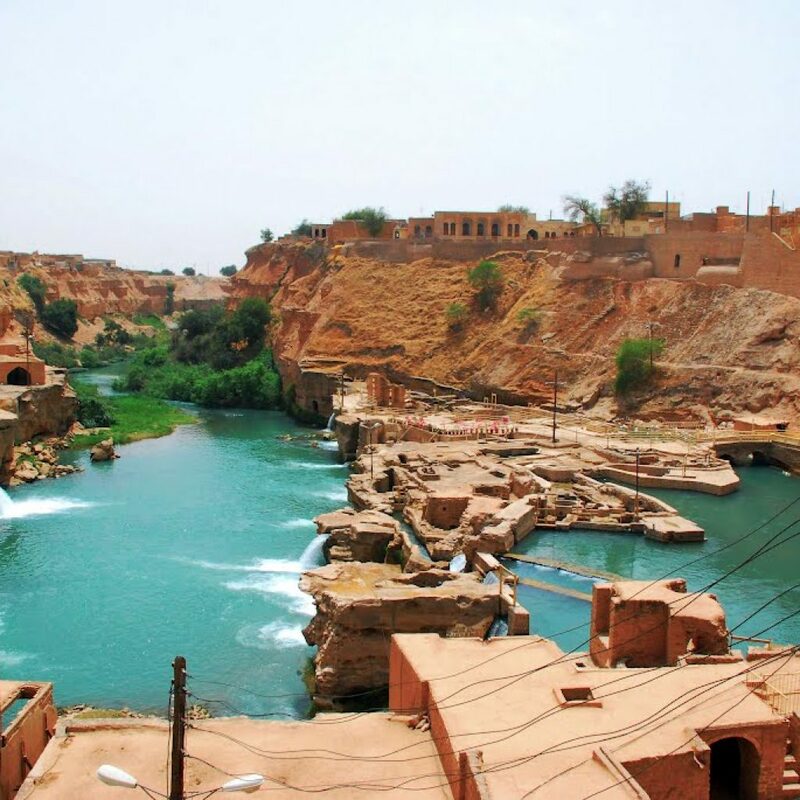 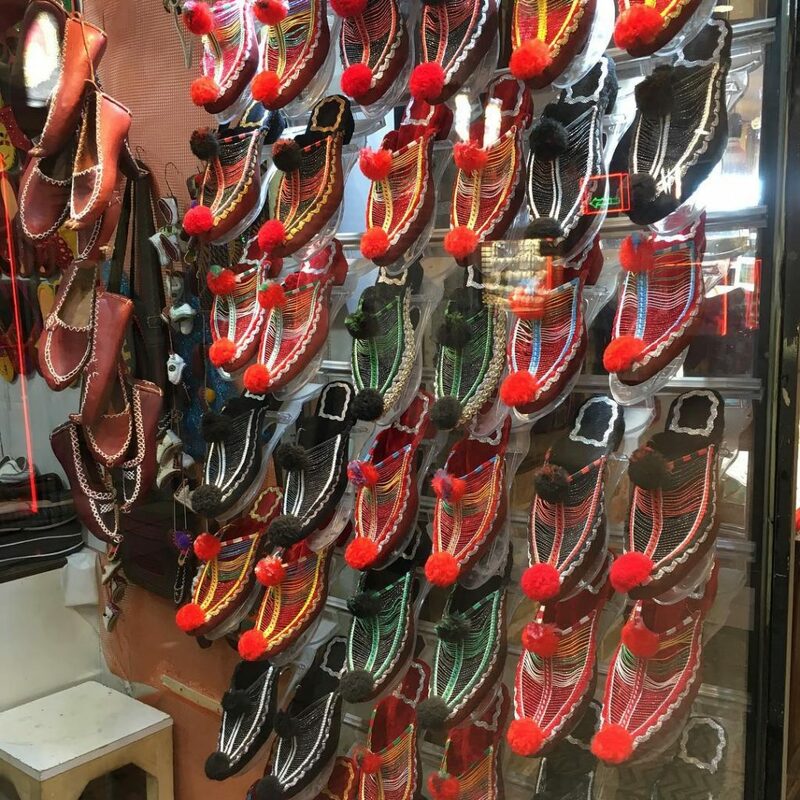 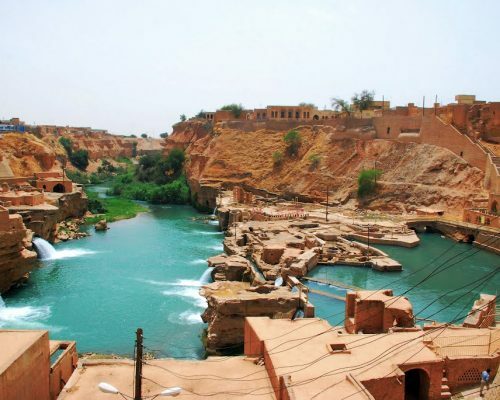 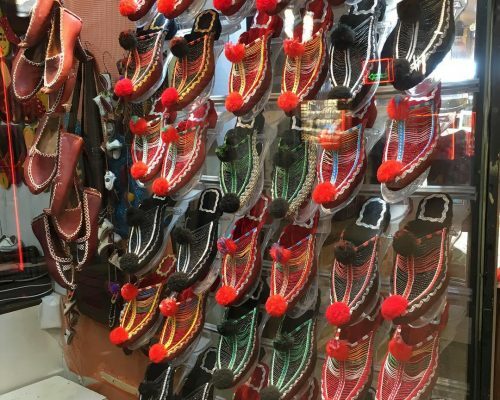 This intriguing meander west is ideal for those who’ve seen the main desert city sights or are confident in navigating through areas often unaccustomed to foreigners. 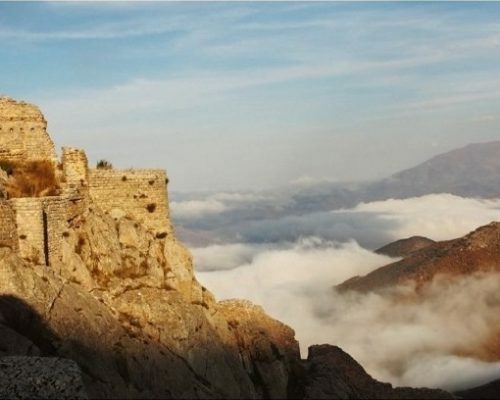 The route over mountains and valleys boasts nine World Heritage sites. 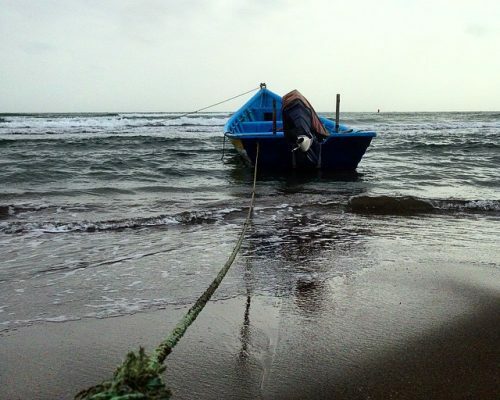 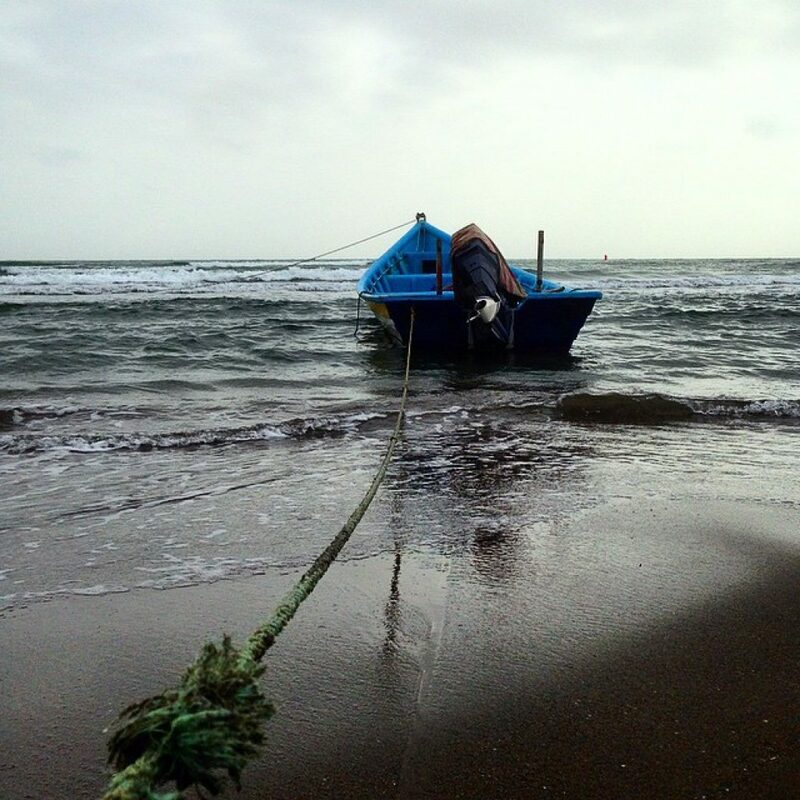 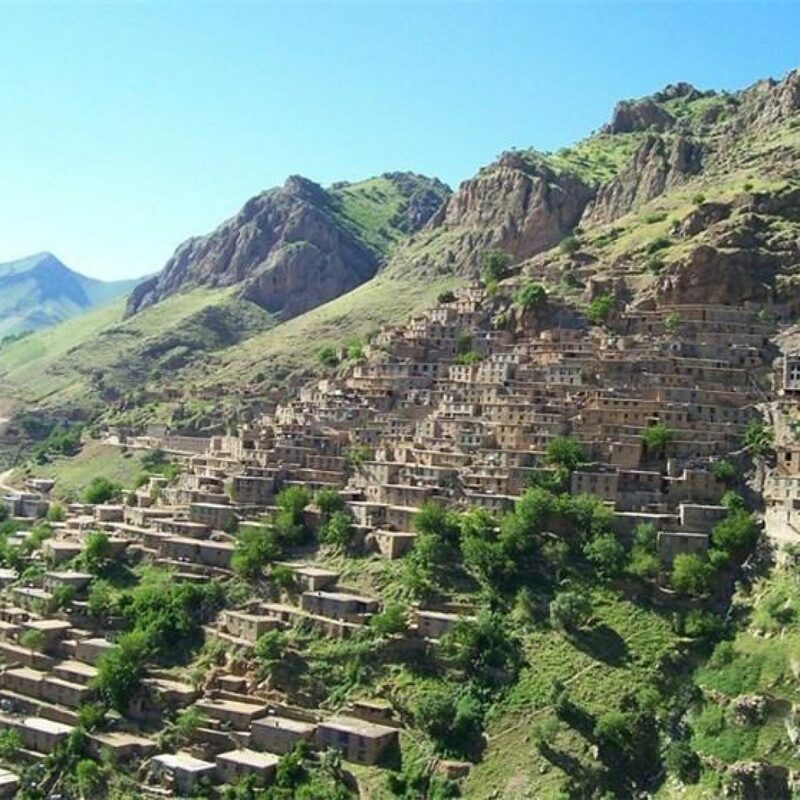 The remotest sections will require charter taxis. 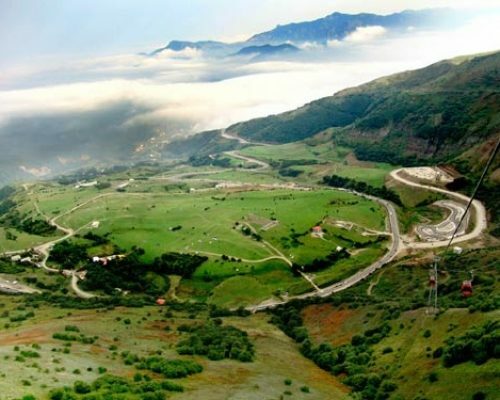 Note that in winter, mountain roads can be cut off by snow. 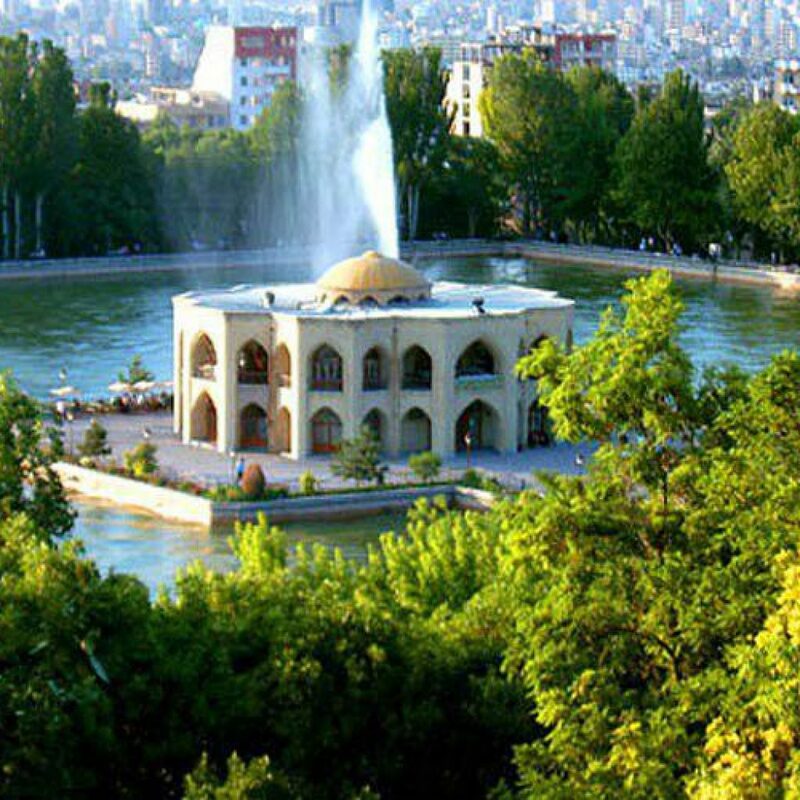 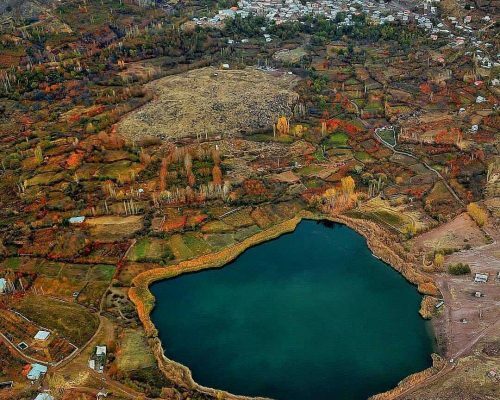 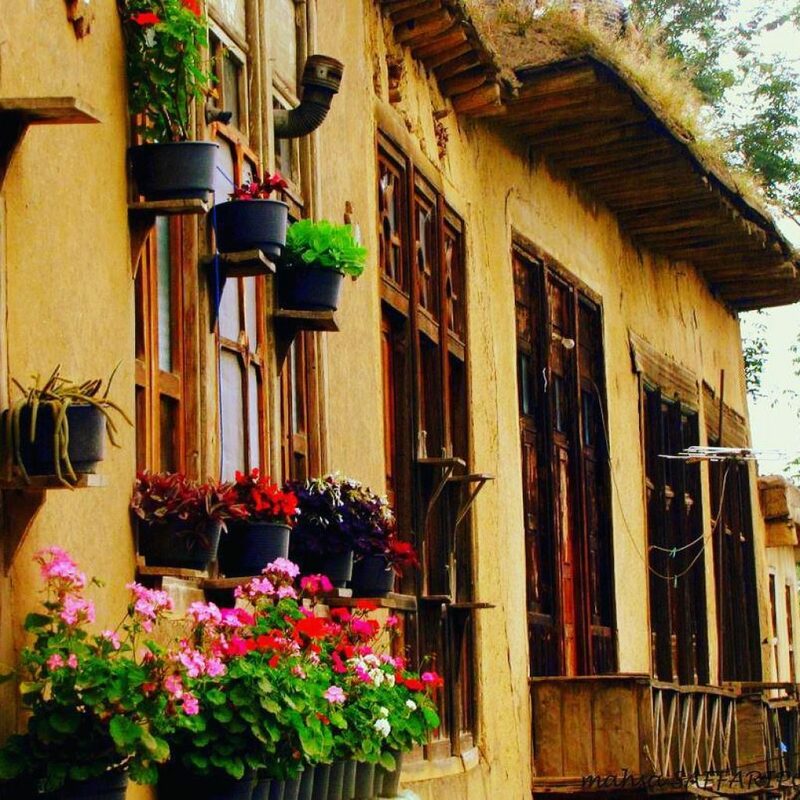 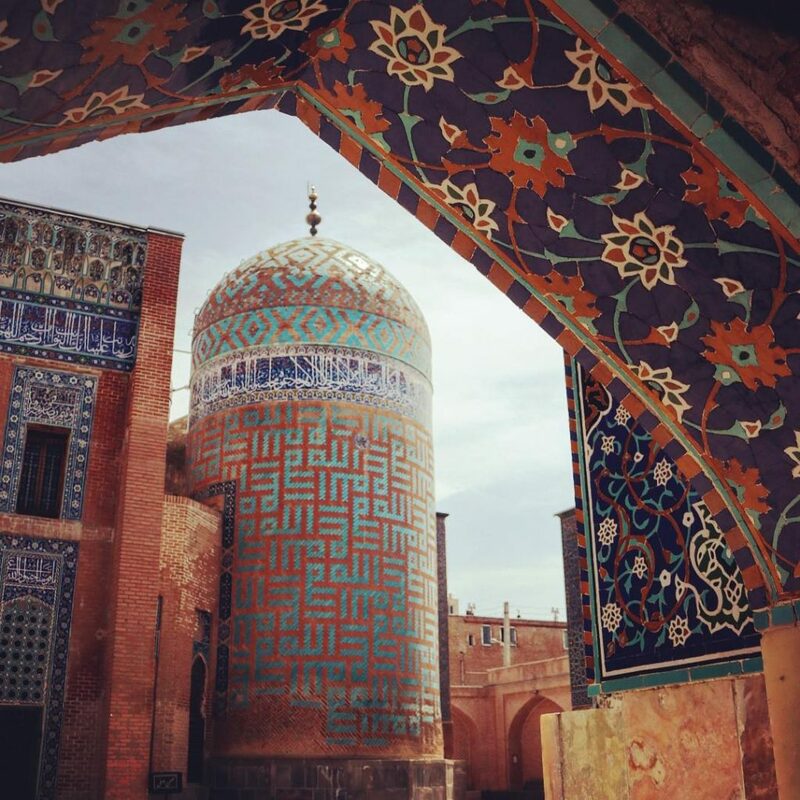 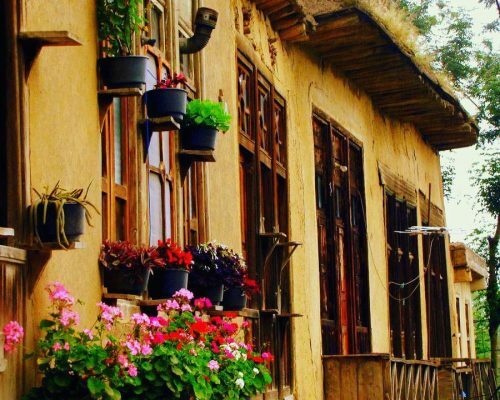 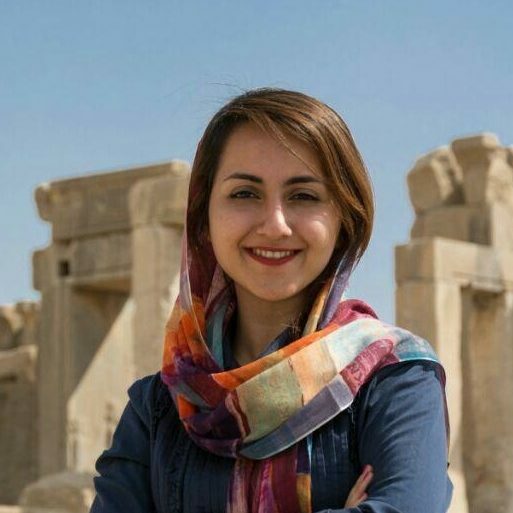 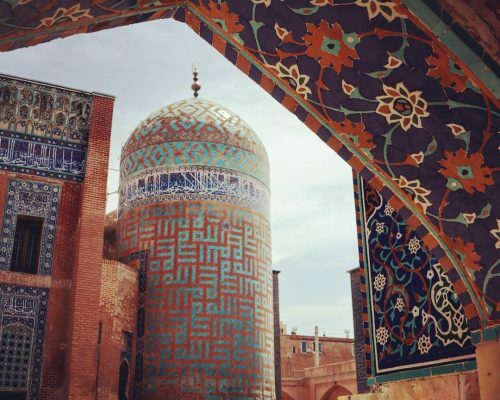 Starting in Tehran, head west to Qazvin and spend the afternoon exploring the historic city, before driving into the Alamut Valley and hiking for two days among the ruined Castles of the Assassins. 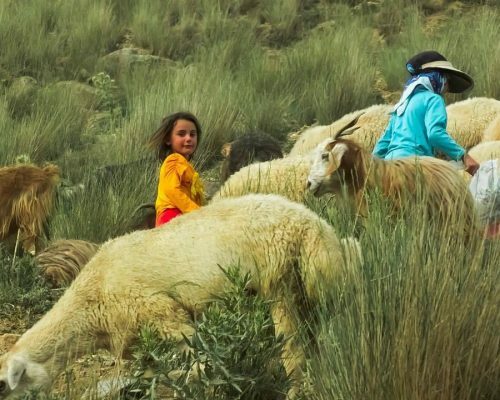 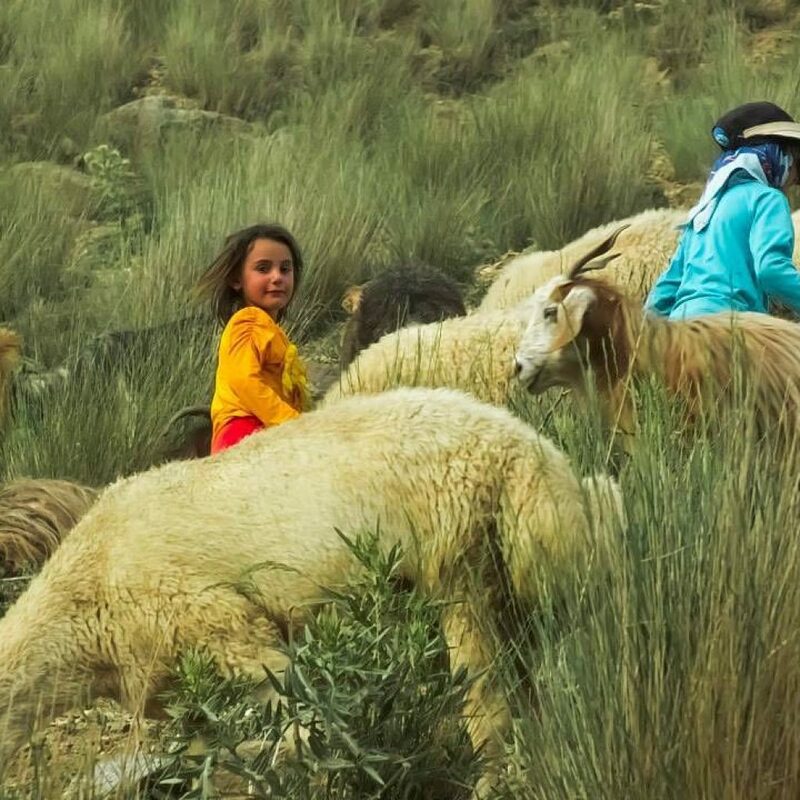 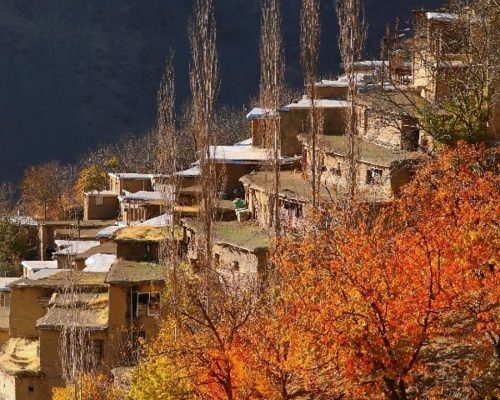 Continue across to the Caspian, recovering at a homestay near Ramsar, then onto vibrant Rasht, conquering the mountain fortress of Qal’eh Rudkhan before spending a pleasant afternoon strolling the teashops of photogenic Masuleh. 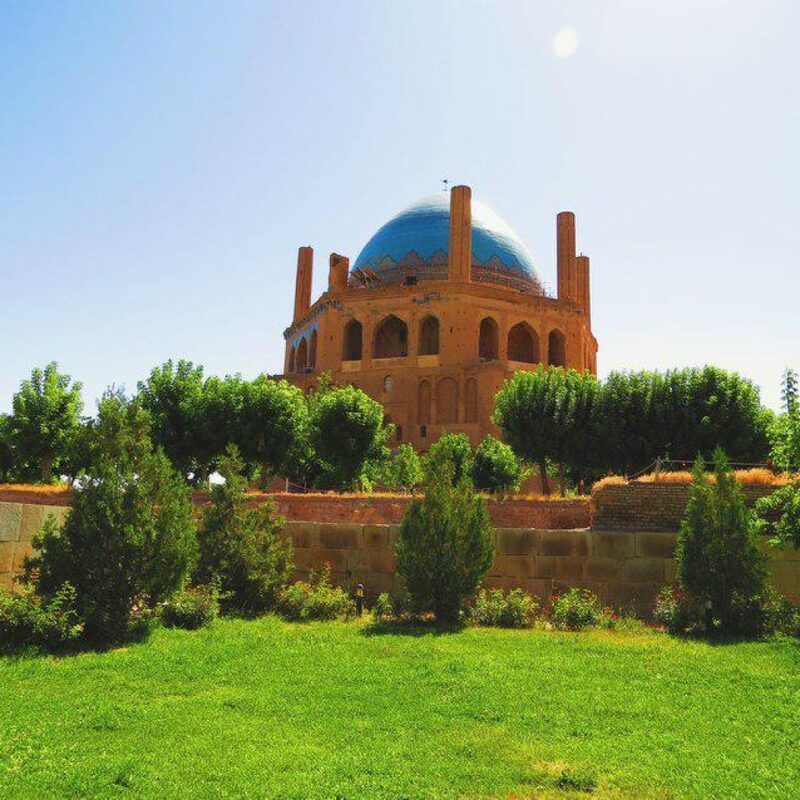 Forsake the dull coast and jump a savari inland, up through nomad country to Khal Khal, then onto Ardabil to visit the magnificent Sheikh Safi-od-Din Mausoleum. 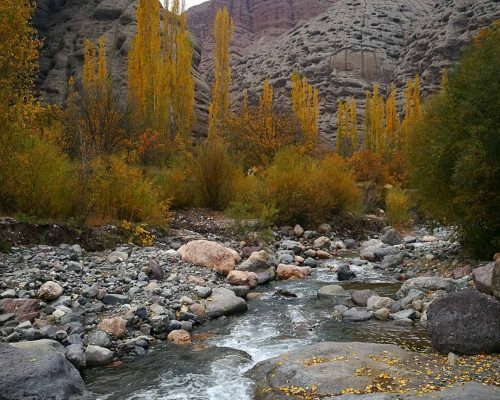 Savari-hop the scenic back route to Kaleybar via Meshgin Shahr. 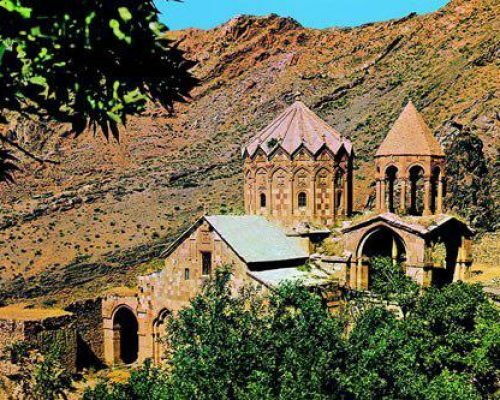 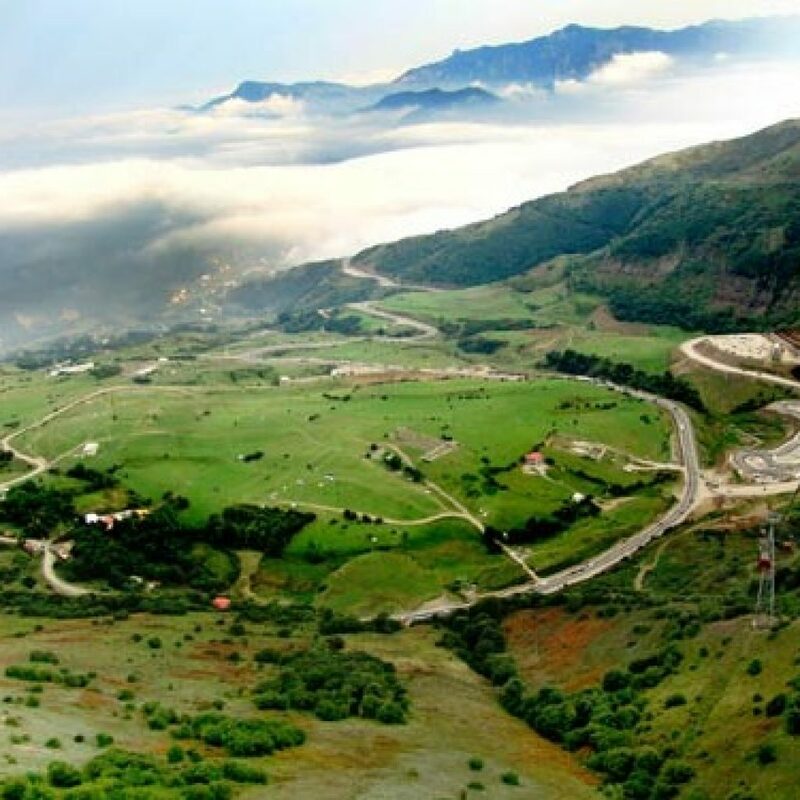 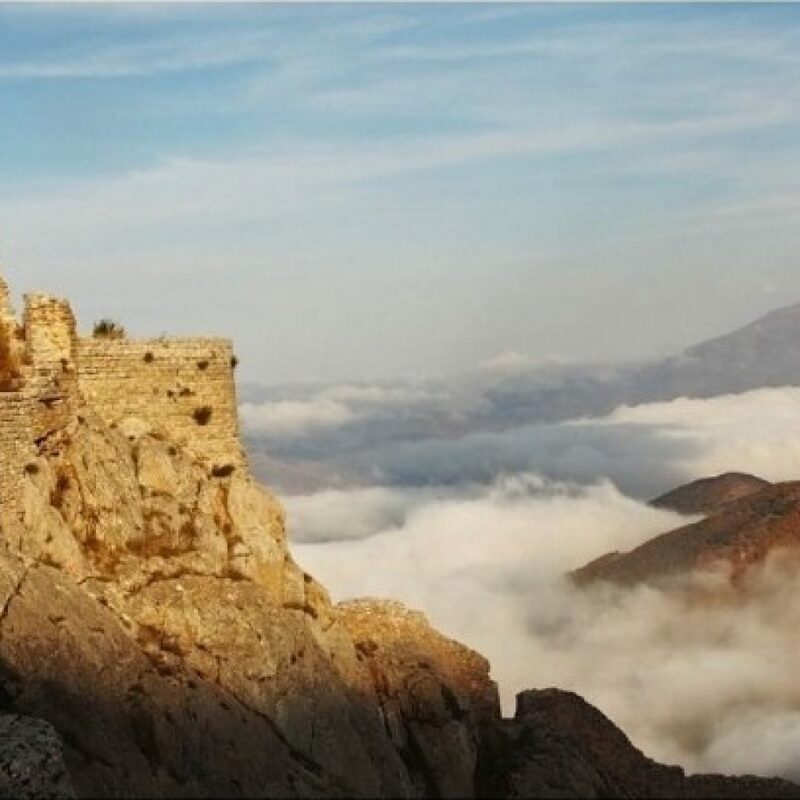 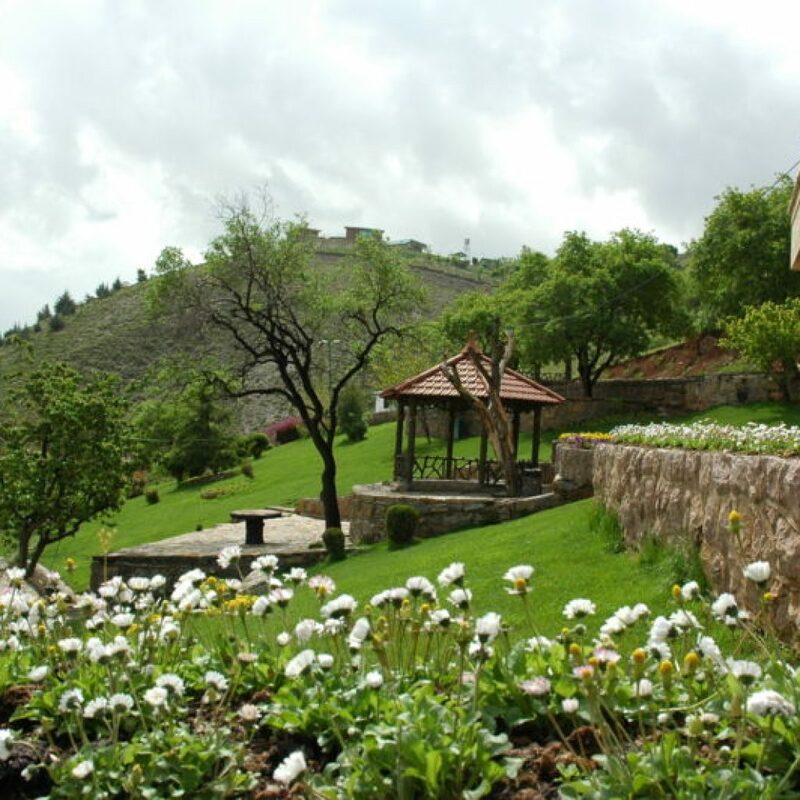 Climb the breathtaking Babak Castle, then hire a driver for the sublime Aras River Valley run to Jolfa and the magnificent Church of St Stephanos. 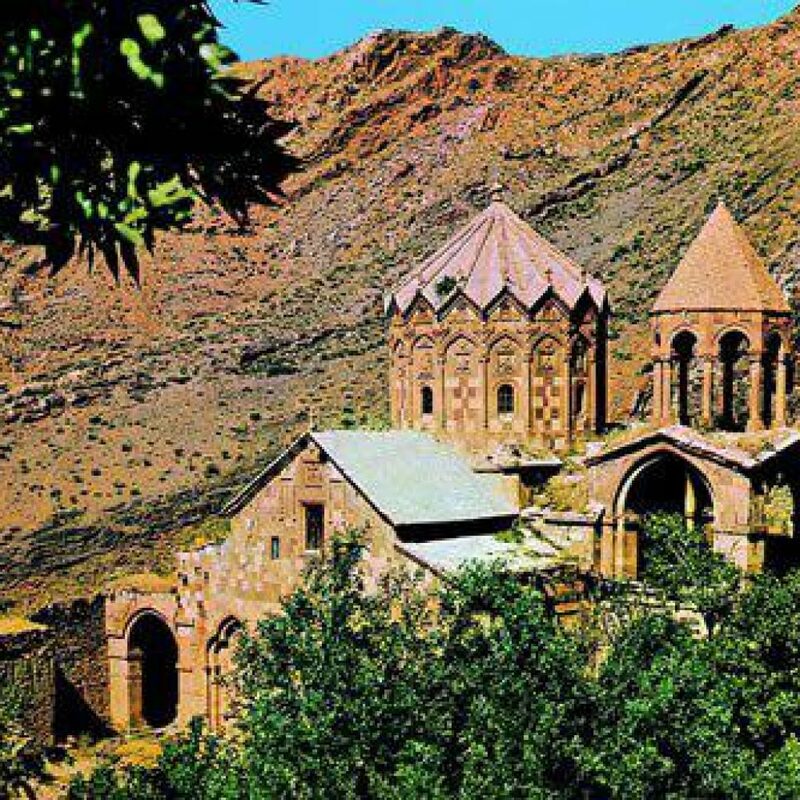 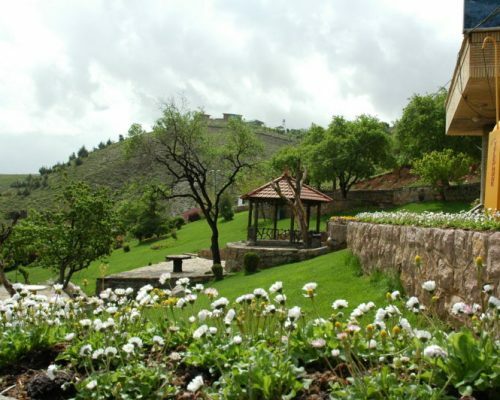 Complete the Armenian church trifecta of Qareh Kalisa and Dzor Dzor Chapel on your way to Maku, via Khoy and Chaldoran. 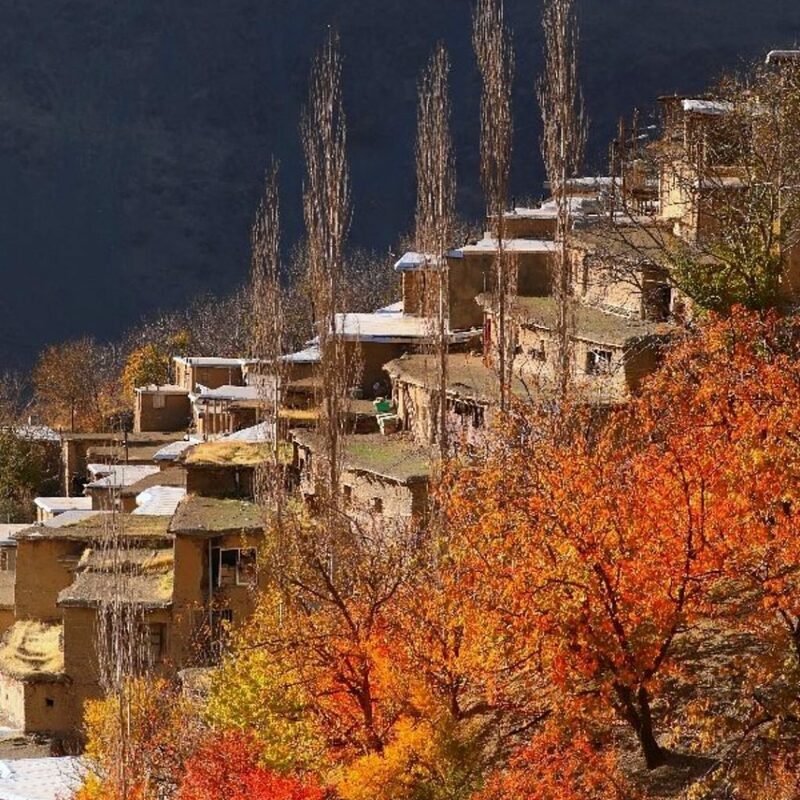 An easy half day to Tabriz and its bazaar leaves the afternoon for exploring troglodyte Kandovan. 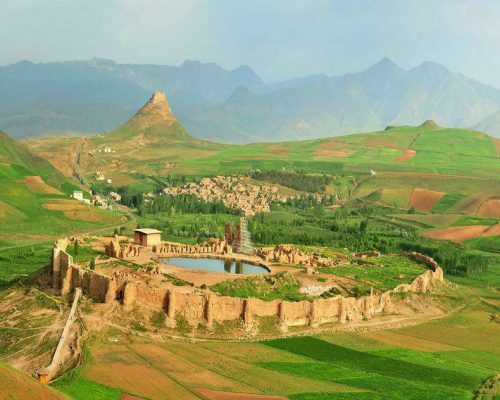 More savari-hopping across high landscapes due south to Takab and the starkly beautiful Takht-e Soleiman, once the world’s greatest Zoroastrian fire-temple complex. 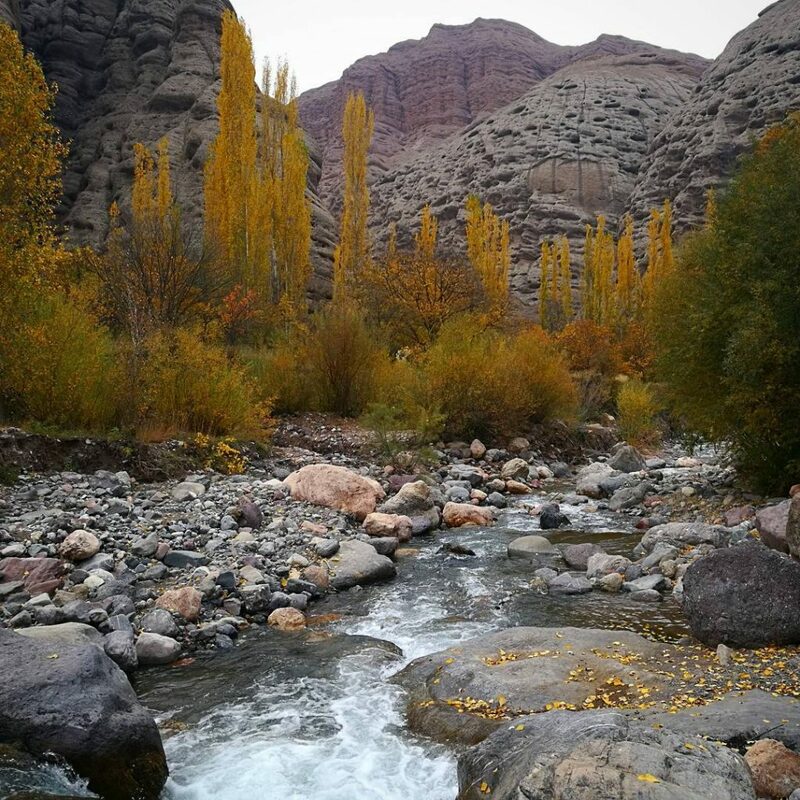 Continue on across the incredible landscape to Zanjan. 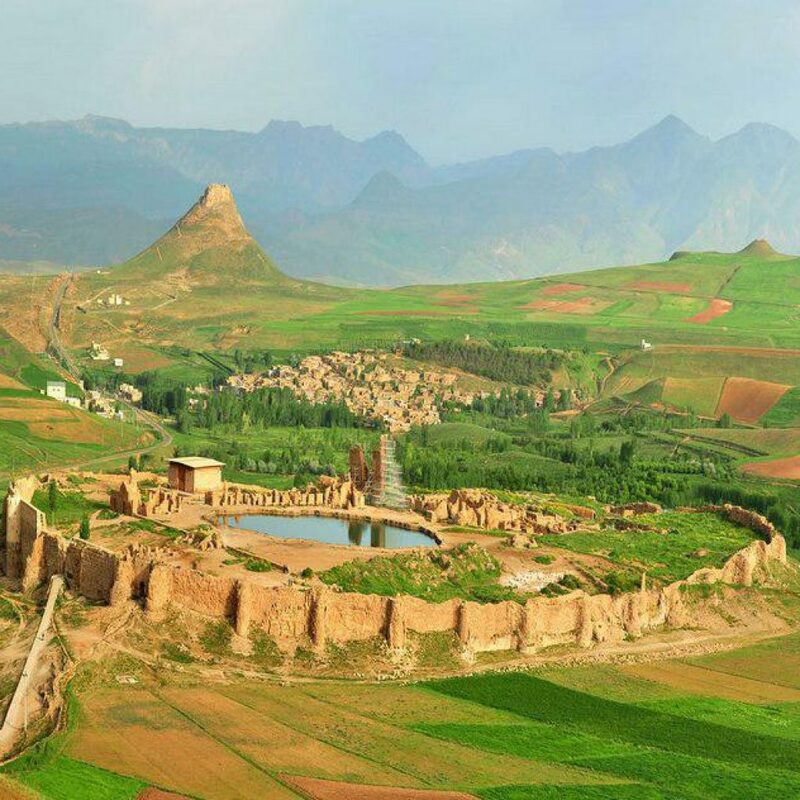 Hire a driver for the trip to Hamadan via the magnificent Mongol-era Oljeitu Mausoleum at Soltaniyeh and the remarkable Katale Khor Caves. 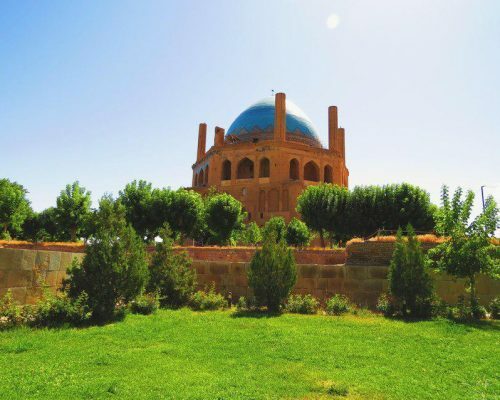 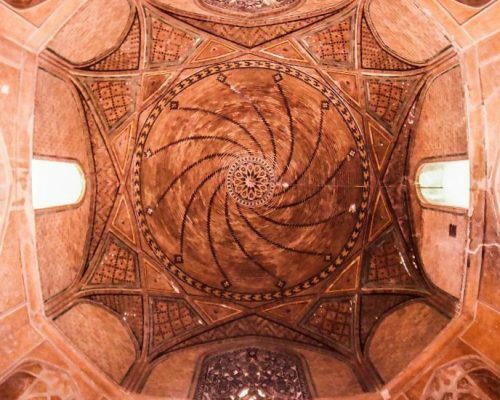 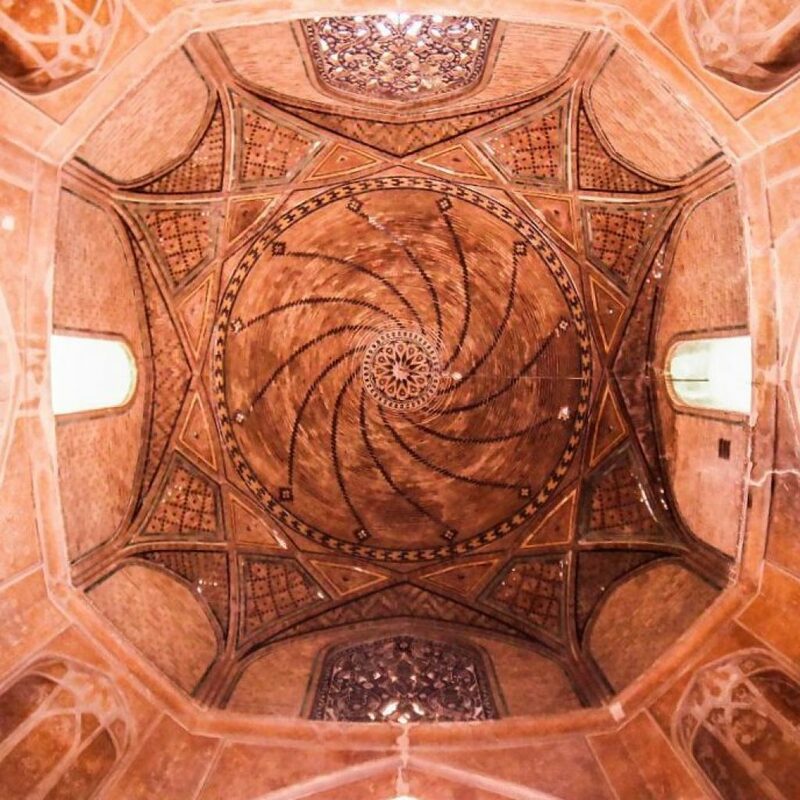 Check out the BuAli Sina Mausoleum in Hamadan before taking a speedy savari to hospitable Sanandaj. 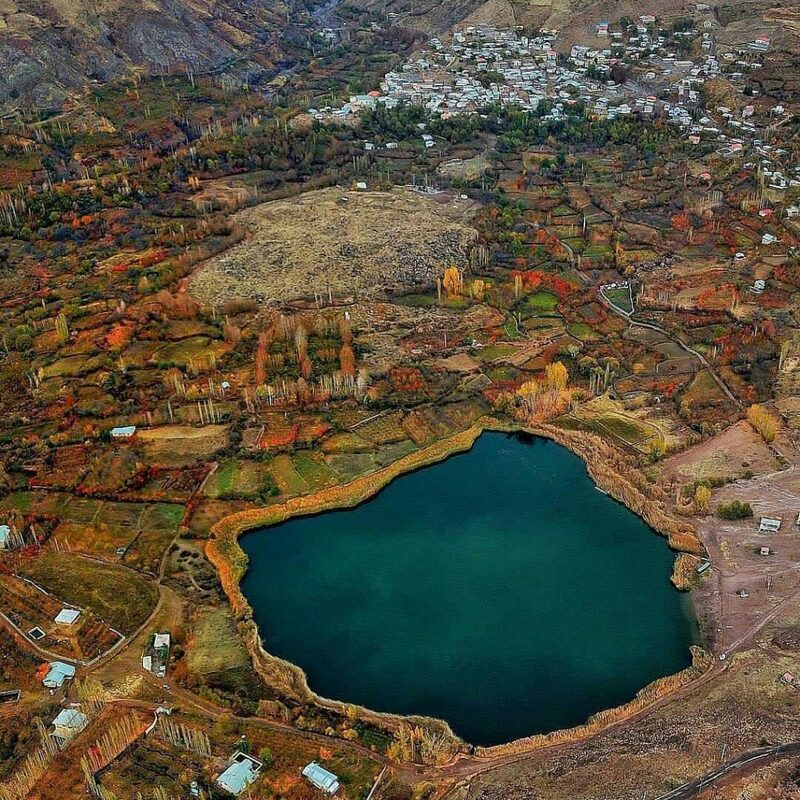 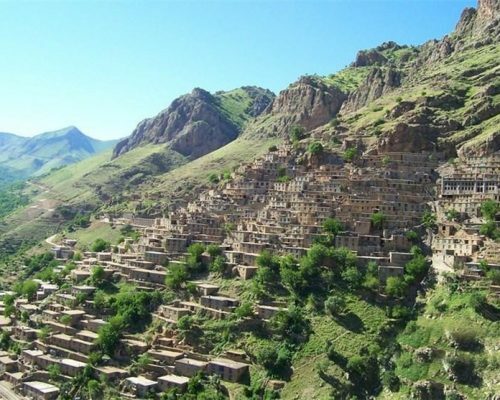 Spend an afternoon in Palangan before heading to Marivan and the scenic road thru Howraman to Paveh, via Kurdish mountain villages. 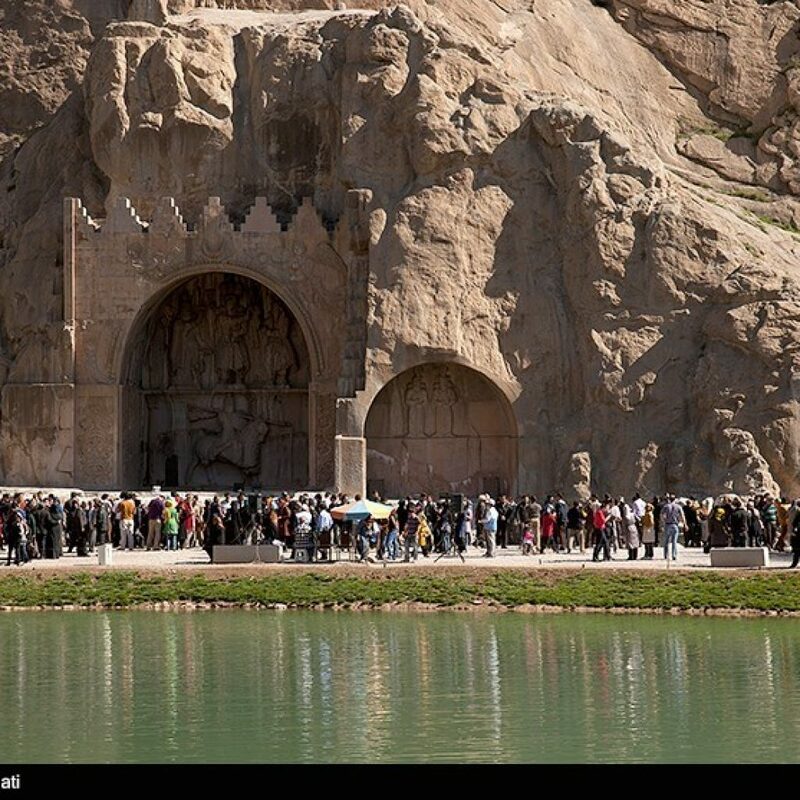 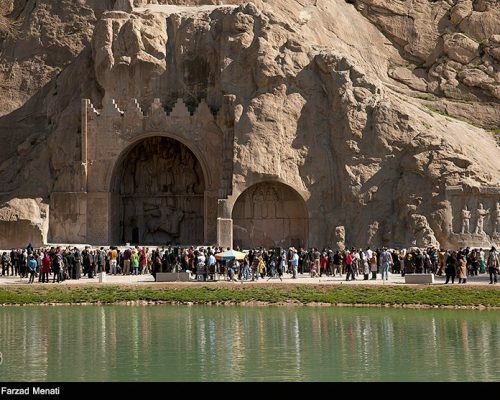 At Kermanshah, sneak a peak at Taq-e Bustan’s stone carvings and the scaffolding at Bisotun before you cross the mighty Zagros Mountains to Khorramabad and its fortress. 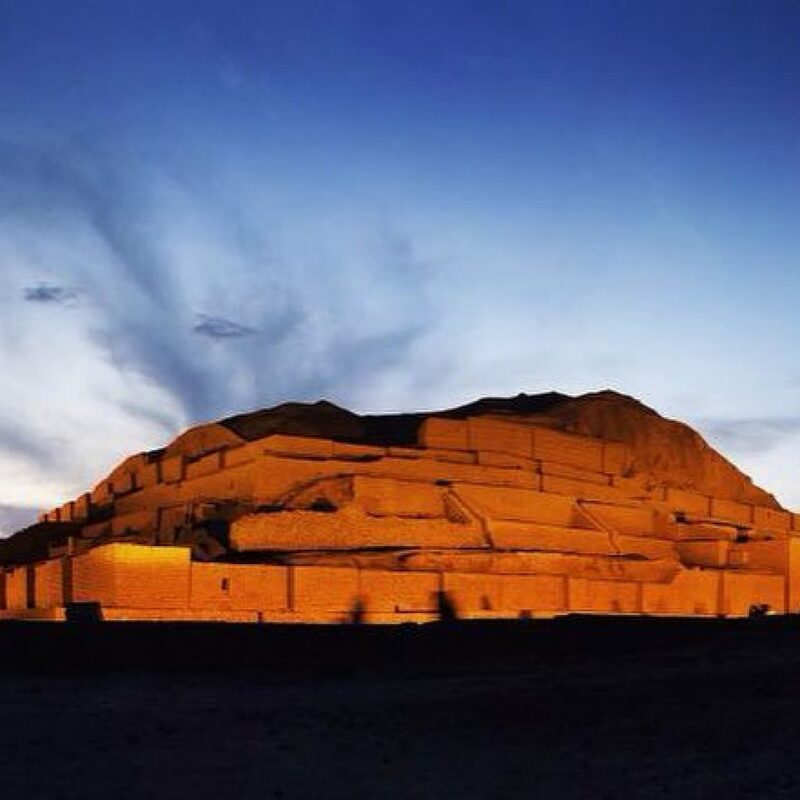 Savari to Shush to wander ancient Susa, then hire a car to the 3000-year-old ziggurat of Choqa Zanbil and the Sassaniancum-Roman engineering of the Shushtar hydraulic system. 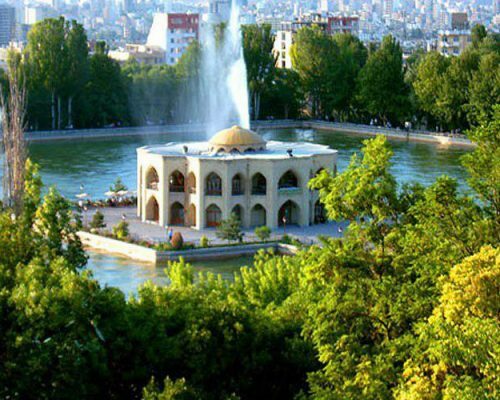 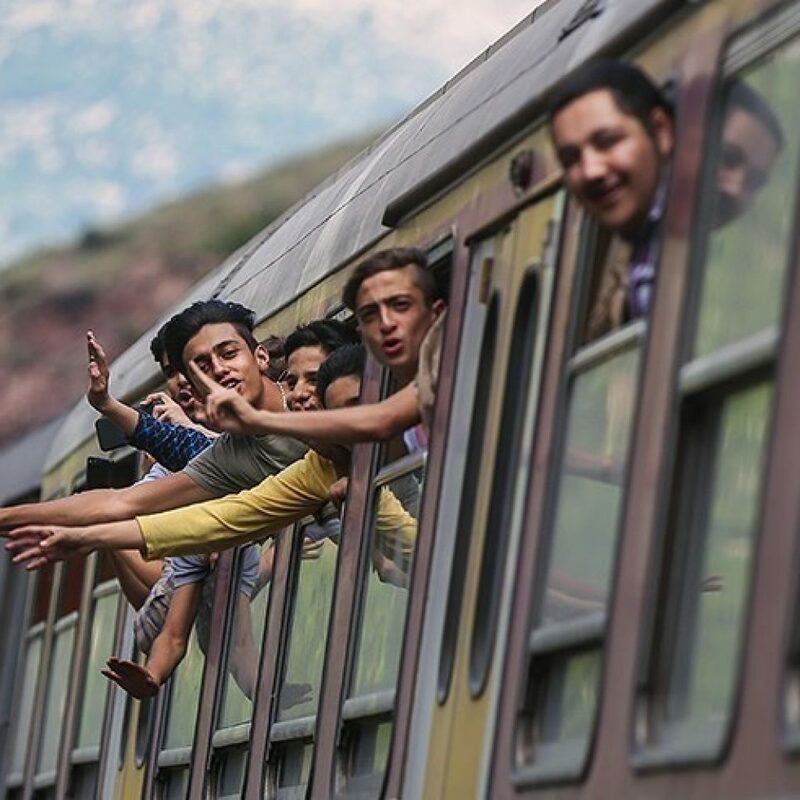 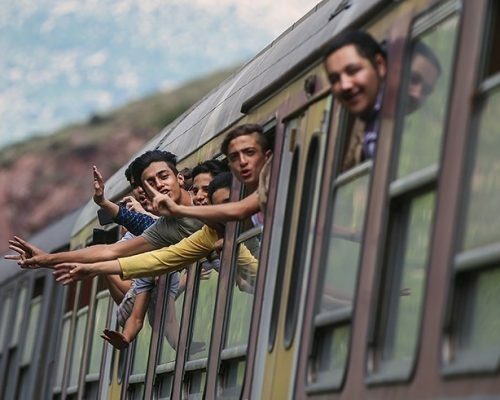 Take a savari to Andimeshk and your evening train back to Tehran. 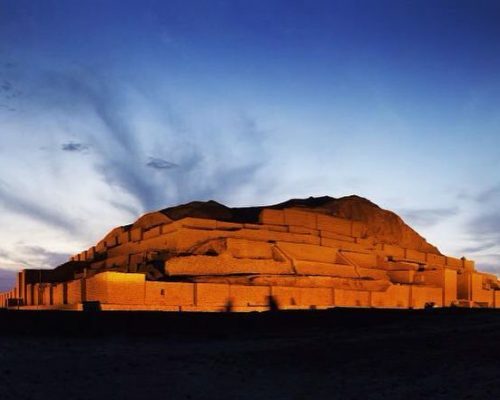 Tour of the unique Ziggurat of Choqa Zanbil and transfer to train station at noon.